Kids may be known for being able to sleep virtually anywhere, but this little tot takes the lead with his hilarious style of napping when on board a flight. It seems as though travelling had begun to take it's toll on Luca, who was caught on camera by his mother sleeping in the middle of the aisle. 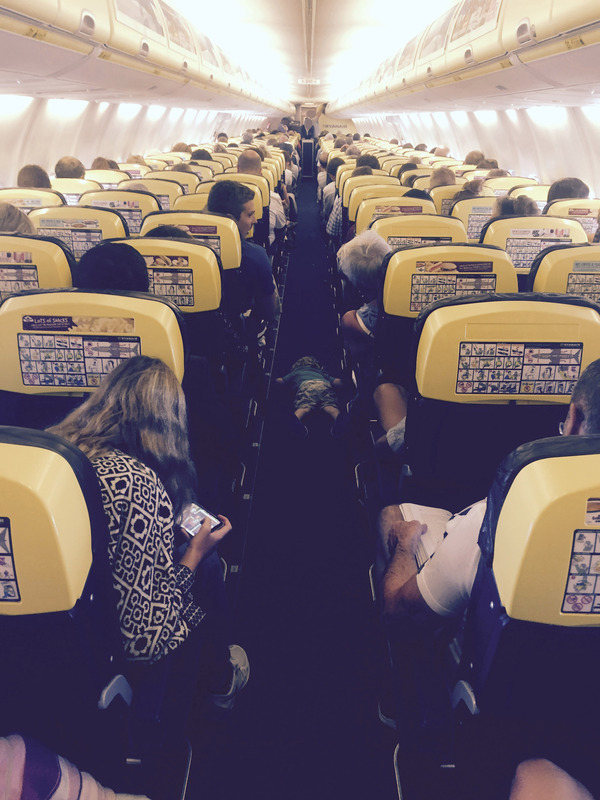 The two-year-old terror had been on board the 10.50 am flight from Alicante to Stanstead and seemingly wore himself out after reportedly spending two hours marching up and down the plane 'helping' the flight attendants. According to mum, Carli Turner, her little boy was full of beans as he assisted the flight attendants by announcing the trolly's arrival and chatting to fellow passengers. The 33-year-old said: "Luca has a huge amount of energy, he really loves life and running around and on flights just doesn't sit down. "He walked up and down for a good two hours and was even shouting 'teas and coffees' to passengers when the trolley came out and said 'bye' to it when it went away - it was absolutely crazy. "He then collapsed and closed his eyes and started slightly snoring. "The other passengers were amazing - lifting bags, stepping over him and moving quietly around him to get to the toilet. "Though I think they were quite happy for him not to be running up and down the aisle." Unlike the rest of us, who struggle to sleep on flights, Luca was able to get a blissful 20 minute kip as he snuggled up on the aircraft floor. However, the nap was short lived as his parents were forced to buckle him back in his seat before landing.